As a senior estimator and project manager, Jeff handles a wide range of responsibilities in a constantly evolving work environment. He provides detailed electrical budgets and estimates, works with field foremen, coordinates with suppliers and subcontractors, and interacts with owners, general contractors, and building officials. 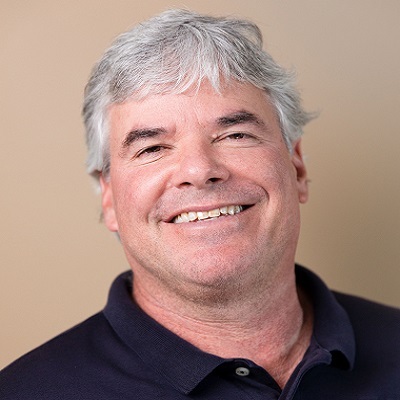 Jeff joined Atlas / Pellizzari in 1986 after completing a construction management degree at California State University, Chico, taking an entry-level estimating job. More than 30 years later, he still enjoys working every day with the Atlas / Pellizzari team. “They’re all long-term employees and friends,” he says. Married with two boys, Jeff spends his spare time watching high school soccer and baseball games, hunting and fishing, touring Napa Valley, traveling, and playing golf. Anyone who stops learning is old, whether at 20 or 80. Anyone who keeps learning stays young.